Valentine’s Day is next weekend, so the pressure is on to find the perfect gifts for your loved ones. This year, skip the traditional chocolates and roses and get your Valentine something they can enjoy every day! Don’t stress yet, Logitech is here to help with awesome gift suggestions, which also come recommended from some of our friends in the media! Additionally, Real Simple featured the Logitech Keys-To-Go in their “Little Helpers” favorites. You can find this in the March 2015 issue, which is on newsstands now. Leticia Barr of Tech Savvy Mama notes that Valentine’s gifts don’t always have to comprise of chocolates and flowers, which is why she suggests gifting the Logitech M320 Wireless Mouse. 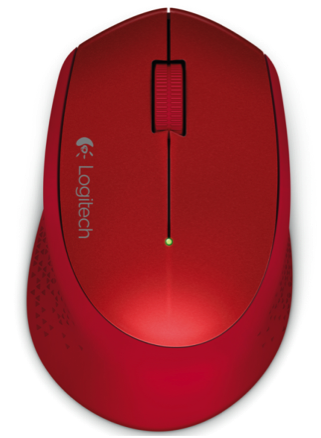 While “colors like black and gray go with everything,” she states that a colorful gift such as the red Logitech M320 Wireless Mouse is the perfect way to “spice up” a loved one’s workspace this Valentine’s Day. Looking for the perfect gift for the man in your life? Atlanta’s SportsRadio 92.9 – The Game contributor Rick Limpert included the Logitech Harmony Ultimate Home in his list of must-have tech gifts for Valentine’s Day. 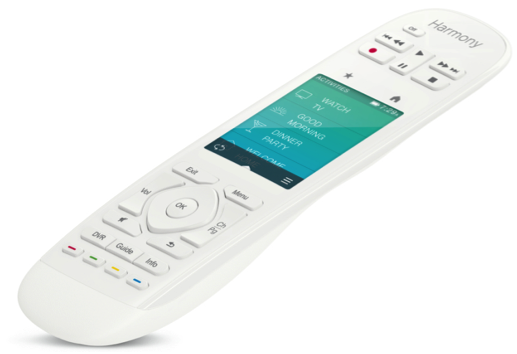 This universal remote will make controlling all of his entertainment and home automation devices easy!